If your kids play T20 or you just love watching it as a family, get them a T20 players shirt for kids from our 2019 collection. With a stylish silver grey design and lightweight Polyester construction, they’ll look the part on or off the field in this iconic kit from Canterbury. Are you a T20 cricket family? Whether you enjoy a backyard bash or your kids play at school, they’ll love you forever if you kit them out in our new T20 players shirt for kids. This stylish silver grey shirt is made using 100% Polyester Jersey, so it’s lightweight and comfortable and built to stand up to punishment. It’s VapoDri moisture wicking finish will keep them cool and dry all day long. 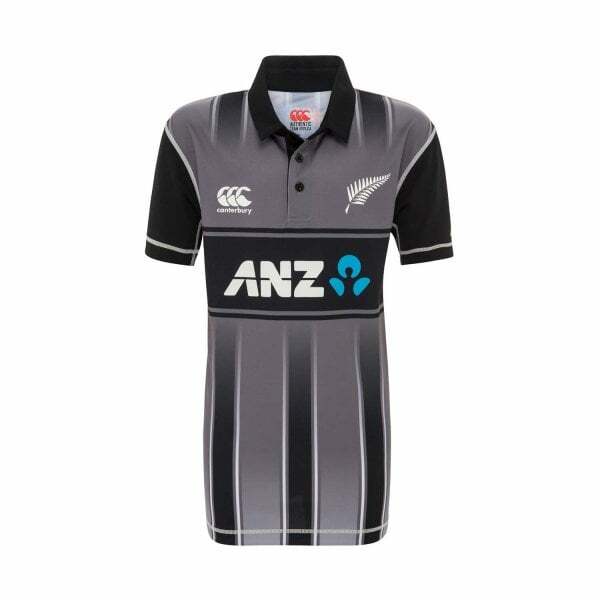 It also features a silver fern on the left chest and the CCC logo on the right, so everyone will know they’re die-hard supporters in this classic shirt from Canterbury’s 2019 collection.